Backflow contamination is one of the most common problems in households across the world. Although water pipes are designed and installed with a thorough plan that segregates inlet and outlet from different sources, often backflow from foul sources contaminate useable water in the household, and that can cause serious health and hygiene related problems. Backflow is jargon for an unwanted condition or problem in plumbing that allows contaminated or dirty water, usually from septic tanks or piping, to enter safe water storage or piping. 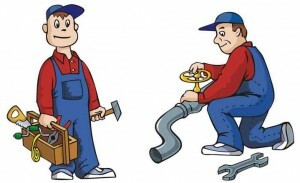 For obvious reasons, various techniques are employed across the world to deal with the issue; one cannot really ascertain the reasons or predict backflow, but it does happen. Back pressure is often the cause for backflow contamination. Instances where water system pressure increases or decreases far beyond that of supply water pressure. Valve pressure, siphoning, air gaps, and temperature all play an important role in this happening. What are the Risks of Backflow? When dirty water mixes with drinkable and daily use water, the health risks are high, too high to neglect. Often it begins with color and texture of the water becoming noticeably contaminated, which then leads to increased toxicity. In many cases, there is always a risk of pesticides and human waste getting into potable water, which can then make family members who drink it, or use it for cooking and preparing food, severely ill. The dangers of prolonged toxicity in water consumed or used to bath may even lead to death. How can Families Minimize Backflow Risks? Backflow testing is the first safety step that every household should take. It should not be just important when you suspect water contamination, but an annual habit to ensure family’s safety. 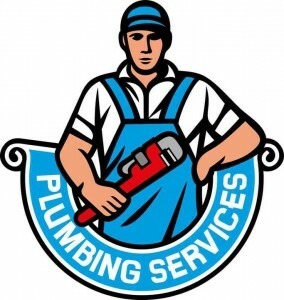 Experienced plumbing professionals have a set of backflow prevention and testing tools that are approved by the government. These tools are designed to look for even traces of toxic materials and human waste. In fact, depending on where you live, some buildings and offices mandate monthly testing of water systems with the help of these devices. Backflow testing doesn’t have to be a tiresome or expense process. You can easily get in touch with plumbing experts with a simple phone call, and let them help you schedule a backflow inspection of your home or business. Testing is quick and non-intrusive. Using contaminated water is serious, and for any head of the house, knowing backflow testing could save your family member’s lives is all the motivation that is needed to have you property inspected today. Want more information on back-flow testing in your Annapolis area? Just call Heidler Plumbing at (410) 268-7191!